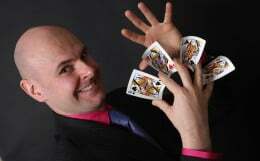 Magic is a fantastic ice-breaker at any party. 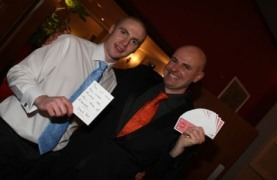 Relax and let David amaze your guests. You will win the plaudits from friends and clients for such an innovative choice of entertainment. 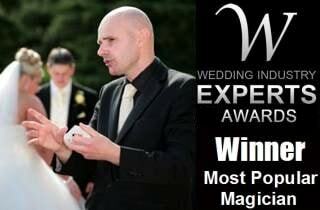 David will provide full planning and advice in order to ensure the magic has maximum impact in your event. David prides himself on his professionalism and his ability to relate to people of all age groups and backgrounds. The timeless art of magic is something very special. Thus, your party is certain to live on in the minds of your guests. They'll be talking about it for many years to come.